During his State of the Union address today, EU Commission President Jean-Claude Juncker announced several plans to modernize copyright law in Europe. The proposal (pdf) is part of the Digital Single Market reforms, which have been in the making for several years. Despite earlier suggestions that geo-blocking would be banned for streaming portals such as Netflix, these ideas haven’t made it into the final text. Instead, it introduces a wide range of reforms that improve the position of rights holders. One of the suggestions that has a lot of people worried is Article 13, which requires online services to police pirated content. This means that online services, which deal with large volumes of user-uploaded content, must use fingerprinting and filtering mechanisms to block copyright infringing files. 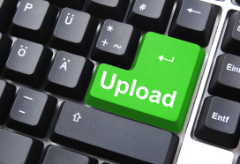 “The Commission proposal obliges such service providers to take appropriate and proportionate measures to ensure the protection of user-uploaded works, for example by putting in place content recognition technologies,” the commission explains. This could, for example, be similar to the Content-ID system YouTube has in place, which hasn’t been without controversy itself. While the Commission stresses that small content platforms won’t be subject to the requirement, the proposal doesn’t define what “small” means. It also fails to define what “appropriate” or “effective” content recognition systems are, creating a fair bit of uncertainty. Commenting on the proposal, Digital rights group EDRi says that it will put many European companies at risk while endangering users’ right to free speech. “The text that was launched today includes a proposal to potentially filter all uploads to the Internet in Europe. The draft text would destroy users’ rights and legal certainty for European hosting companies,” EDRi notes. Perhaps not surprisingly, this language is directly aligned with recent calls from various music industry organizations. Just a few month ago the BPI asked for new legislation to prevent platforms like YouTube abusing safe harbor protections in order to create “royalty havens”. With the current proposal, this wish has been partly granted. “There are countless problems with this approach. First of all, Google spent upwards of $60 million on the development of ContentID. Asking every startup or community project to make the same kind of investment is ludicrous,” Reda says. Most services that deal with user-uploaded content can’t invest millions into content recognition technologies so they would have to license it from others such as YouTube, Reda adds. This will only increase the already dominant positions of the major players. “Just because part of a copyright-protected work shows up in a video, that doesn’t mean that the new work constitutes a copyright infringement,” Reda says. “There are numerous exceptions to copyright such as parody or quotation – different in every EU country – that could justify the re-use of part of a protected work. An algorithm can’t detect that. It will take down lots of legal remixes and mashups, thus stifling freedom of expression,” she adds. “There is no technology available that would reliably detect copyright infringements in these formats. The Commission is asking Internet companies to do the impossible, thus endangering collaborative communities on the Internet as well as European startups,” Reda tells us. The filtering requirement is not the only plan that’s getting a lot of pushback. Another controversial proposal is the introduction of a new related right for press publications. This allows online newspapers to negotiate licences from third party services that use their texts, such as Google showing article clippings in its news section. Opponents, including several young members of the European Parliament, have dubbed the proposal a “link-tax” and are fiercely against it. “This plan would break the internet as we know it. The way people share news online today – by posting a link that includes a short snippet or image from the article – would be made illegal unless a licence had been previously agreed,” MEP Marietje Schaake says. Considering the stakes at hand, it’s expected that there will be several organized protests, similar to the “Save the Link” campaign, to stop the proposals from becoming law in their current form.